This science fiction novel chronicles the time traveling adventures of a young boy and his android friend. 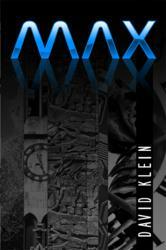 Max, a new book by David Klein, has been released by RoseDog Books. Max is the story of an eleven-year-old boy and his android friend who lives a couple of hundred years from now. During a visit to a research and development facility, where his father works, an accident occurs, and due to that accident, he, his friend, and several other people are transported to different times and worlds. They have to escape from ancient wars and scary prehistoric dinosaurs. The scientist in the facility tries to bring them back safe and sound. David Klein is a fifty-two-year-old, single, never-married IT executive who one day had this crazy idea for a novel. He started working on the first lines of the book not knowing exactly where it would take him. Writing this was an exciting trip in time and to different times and places, which he was very interested in sharing with readers. Max is a 94-page paperback with a retail price of $14.00. The ISBN is 978-1-4349-0374-7. RoseDog Books of Pittsburgh, Pennsylvania published it. For more information or to request a review copy, please visit our virtual pressroom at http://www.rosedog.com/pressroom or our online bookstore at http://www.rosedogbookstore.com.